Yum! 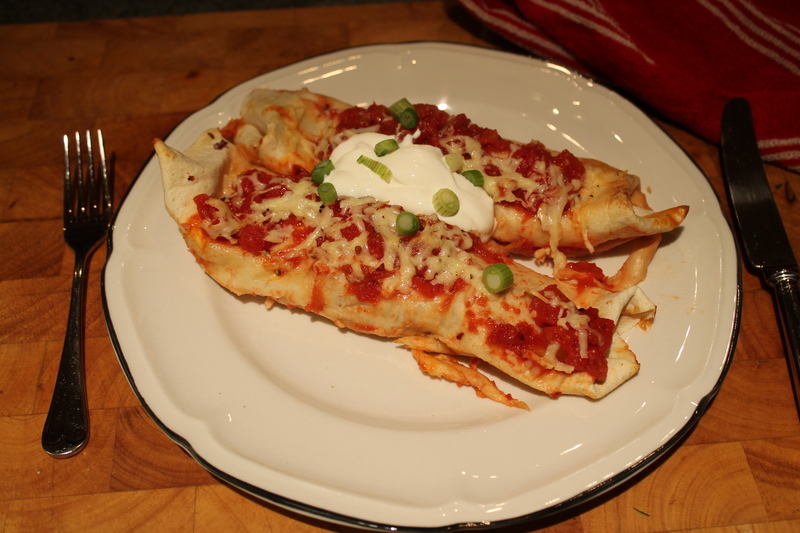 Who doesn’t like enchiladas? 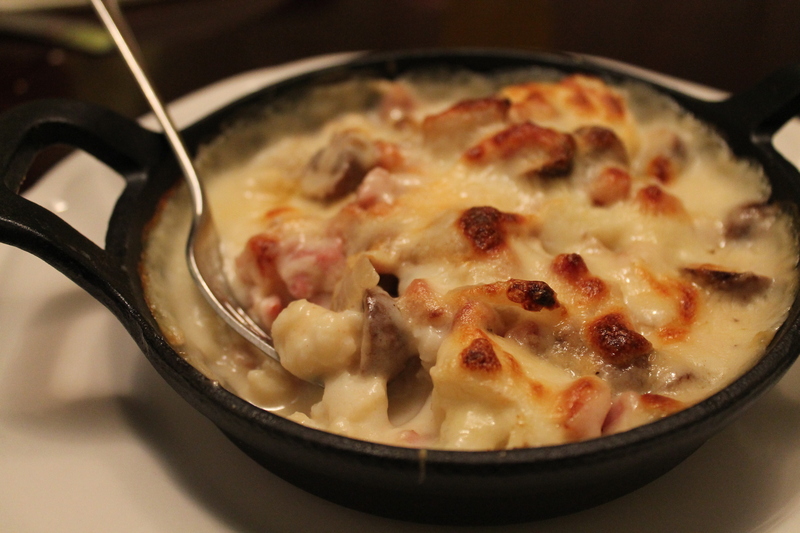 They’re like the Mexican version of lasagne! 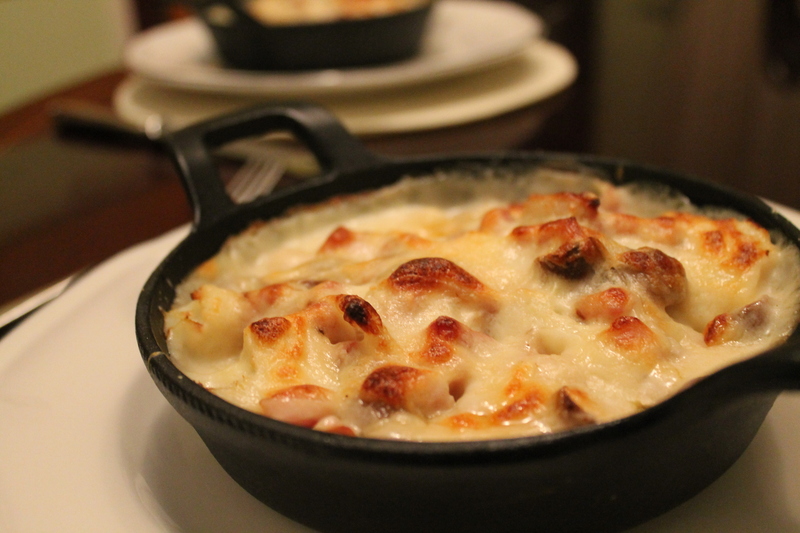 They are perfect for cold weather, because they’re the ultimate comfort food. Anything baked in the oven is wonderful when it’s cold outside. We looked through the cupboards yesterday and came across some tortilla wraps which were about to go, and were delighted when we realised that to use these up, we could make this. I’ve only ever made chicken enchiladas before, but seeing as it’s still January and so we should technically be on a health kick, I’ve made this version completely vegetarian, and contains loads of different veggies which makes it fairly good for you – you could almost get your 5-a-day from this dish! If you like these, try my Spinach and Ricotta Cannelloni! 2. Heat the oil in a large frying pan or wok. Add the sliced onion, halved mushrooms, sliced peppers and sliced courgettes. Cook over a medium-high heat for 5 minutes, until starting to soften, then stir in the tomato puree, smoked paprika, cumin and cinnamon. Cook for another 5 minutes, then remove from the heat. 3. Lay out your tortillas. Place a spoonful of the veggie mixture into the centre of each one, then fold them up as you would a fajita. Lay the wraps side by side in a large oven proof dish. 4. Pour the chopped tomatoes over the wraps. Try to do it evenly, but don’t worry if they don’t reach the edges. Top this with an even layer of the grated cheese and chilli flakes. 5. 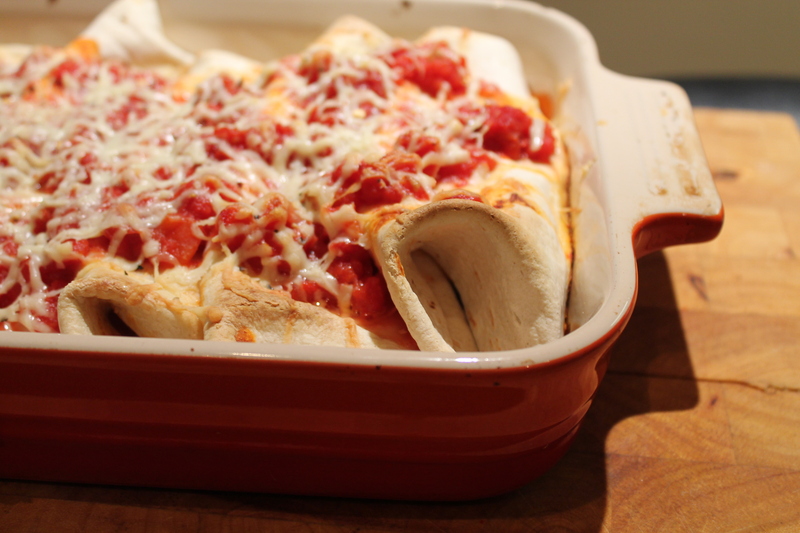 Bake in the oven for 15-20 minutes, until the tortillas are crisp at the edges and the tomatoes are hot and bubbling. 6. 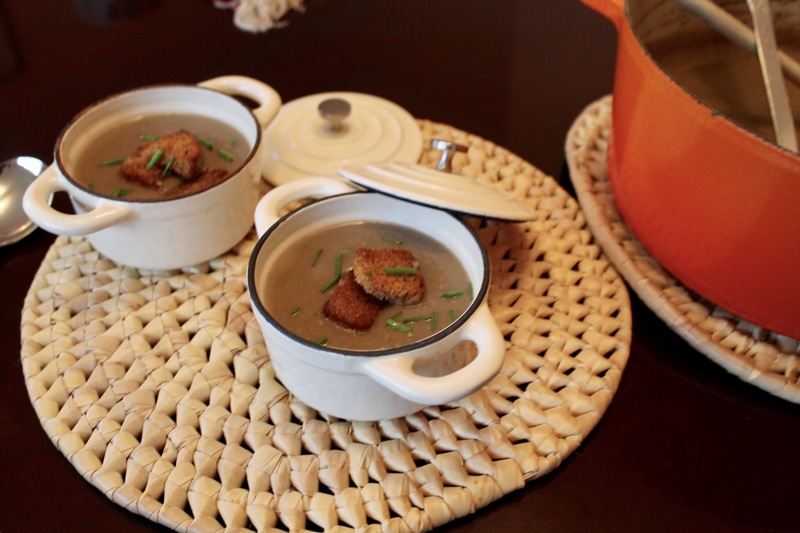 Enjoy with a dollop of soured cream, and some sliced spring onions if you fancy.